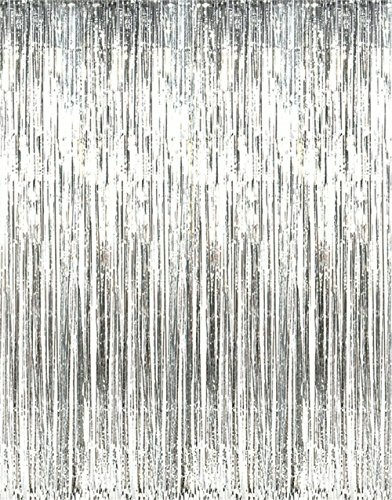 Measures: 3 ft. x 8 ft.
Dazzle any doorway or entrance with this Metallic Silver Foil Fringe Curtains. With this glitzy curtain, everyone will feel like a star at your party! Not good to use for a shower curtain! Also not edible. And do not throw out of your car while driving!.